How about a trip to beatiful Amsterdam? Travelbird offers you 3 days at the 4* Arena Hotel for only 799 kr, breakfast and Welcome Drink included! The hotel is located in an amazing, historic building with classic interieur. It’s in the east of Amsterdam, only a few minutes away from a bus stop, so you can get to the centre quick and comfortable. You can also rent a bike and discover the city on two wheels. The terrace offers a great relaxing spot where you can try different drinks at the bar. On TripAdvisor, the hotel recieved good reviews and a 4 out of 5 rating out of 480 different riviewers. Visit the Van Gogh Museum and the Anne – Frank – House while in Amsterdam. Curious where Heineken comes from? Look around and listen to the story at the Heineken Experience. Don’t miss out on the Vondelpark and Westerkerk. The available dates are from November 2017 – December 2018, you can find the cheapest price in December. 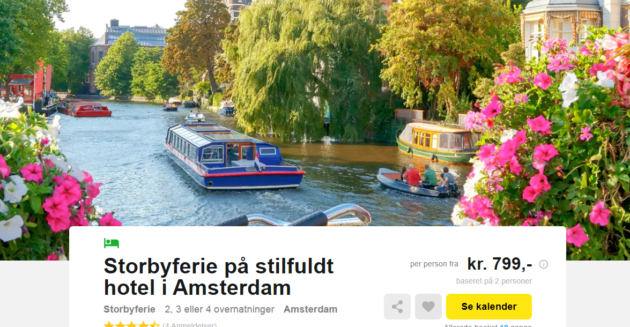 You can look for cheap flights to Amsterdam on Skyscanner. Let’s go to the Amsterdam deal! Sign up for our Newsletter, and don’t miss anymore deals. 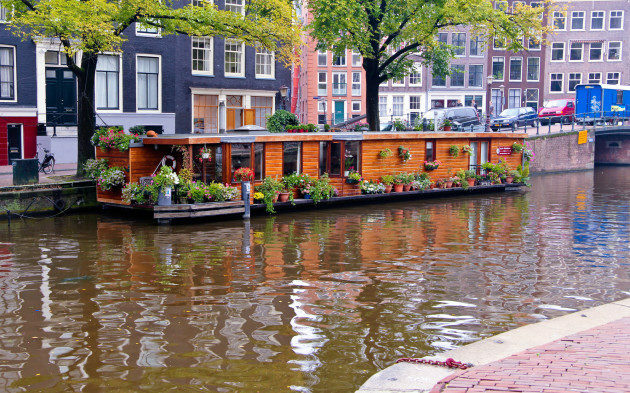 You’ll be the first to find out about our Amsterdam bargains!